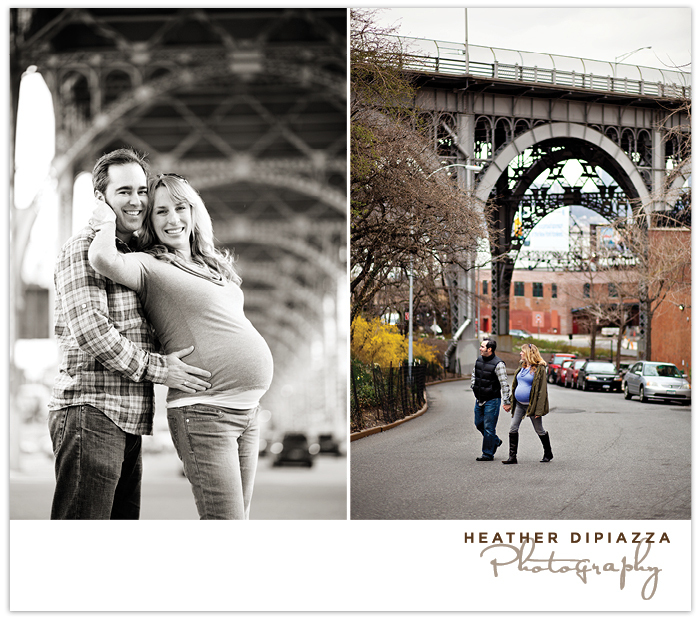 Heather DiPiazza Photography: Susannah+Greg :: Expecting! 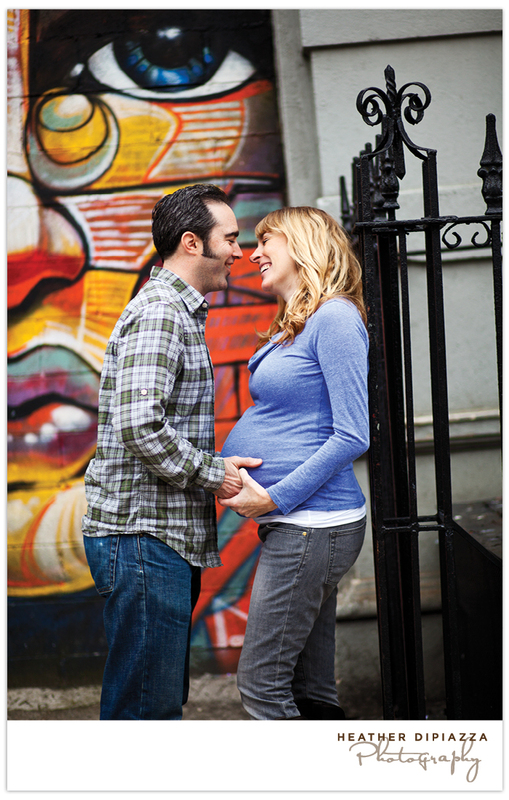 Does this adorable couple look familiar? 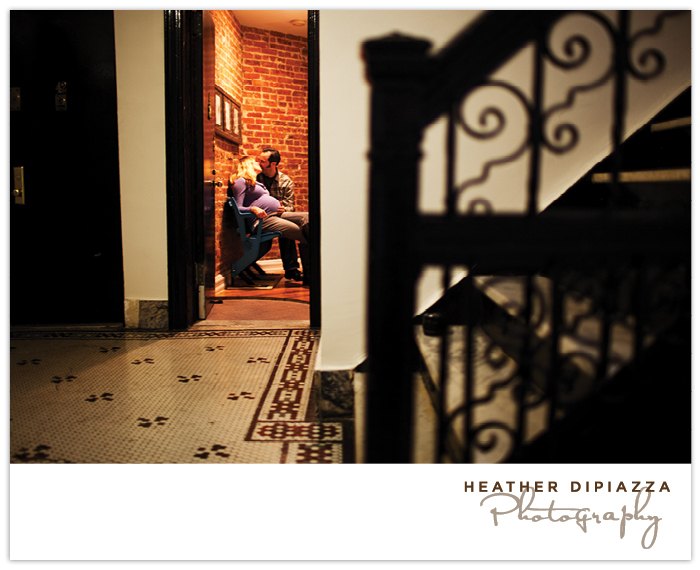 You may recognize them from my website header - an image from their beautiful wedding a few years ago in Fire Island. Since then we've become good friends (they're also photographers!) 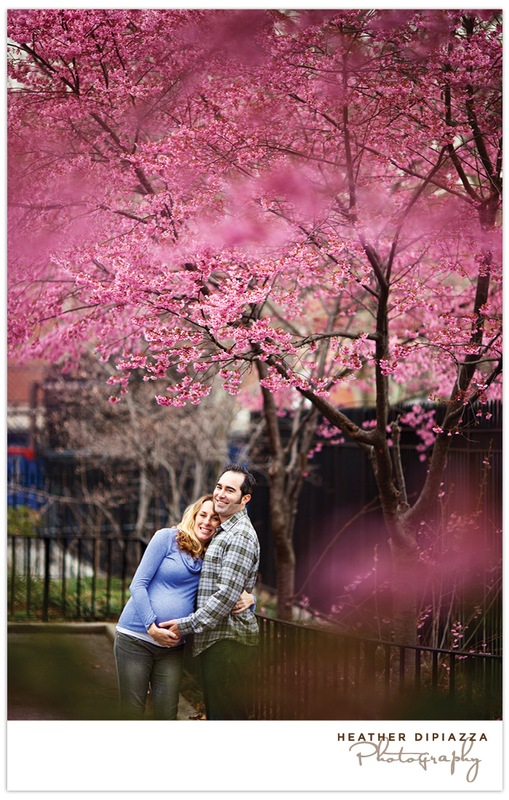 and a few weeks ago they asked if I would photograph them with their baby-to-be. I was so flattered and excited! 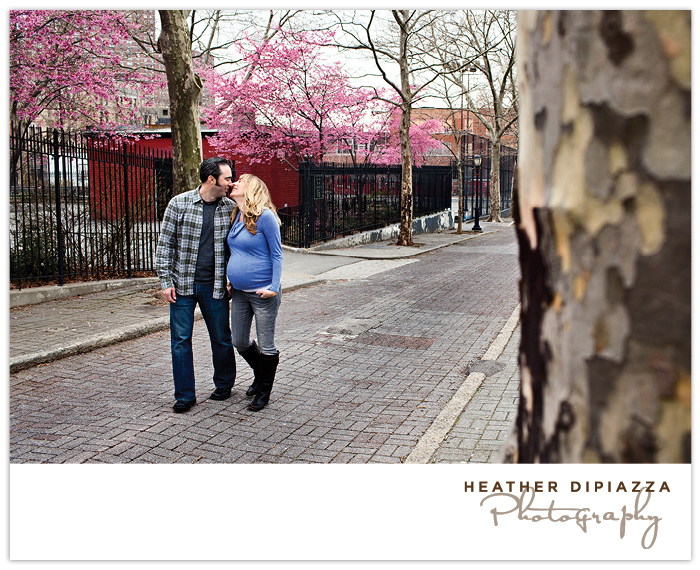 I headed up to New York City on Sunday since the baby is due soon, and we walked around their neighborhood visiting spots they love. Susannah, by the way, was all smiles and no complaints. 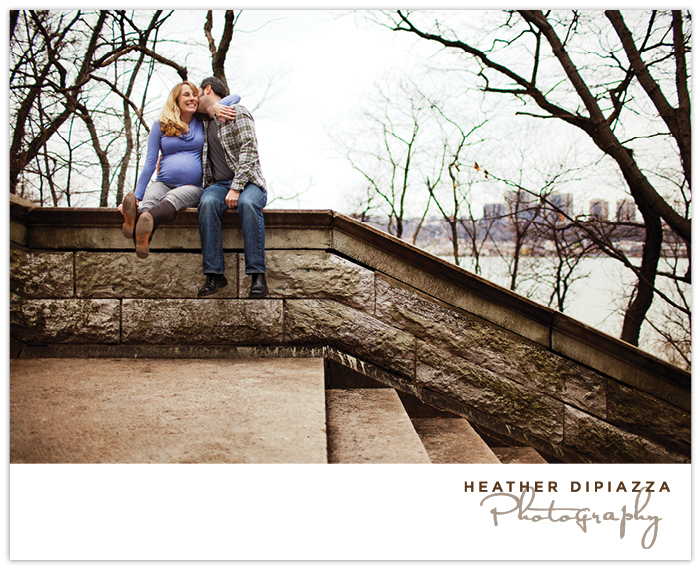 In fact, she was incredibly enthusiastic and raring to go for the shoot, climbing hills and stairways all over Harlem... She's a rockstar! In 2007 at a photo conference I was lucky enough to sit next to a woman with one of the warmest and brightest smiles I had ever seen! We exchanged business cards, an email and that was about it. 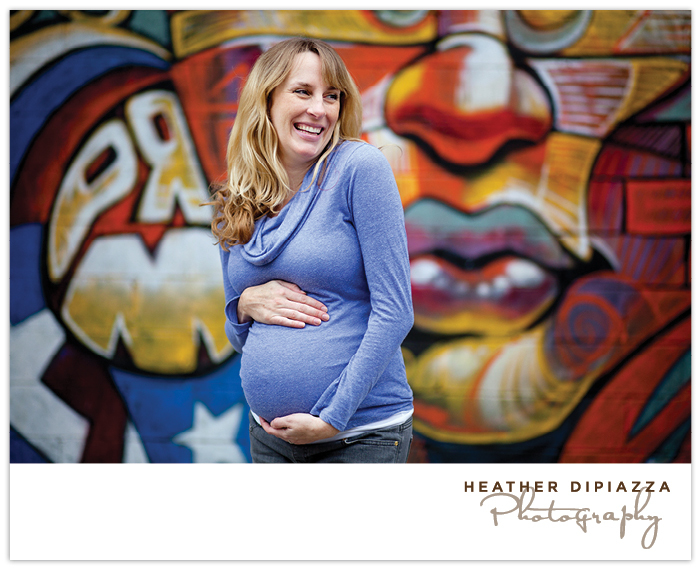 In 2008 when Greg proposed to me I could not stop thinking about the photographer with the warm smile. I found her card, contacted her and then CHANGED our wedding date to a day that she would be free! The result was not only finding an incredible, trusting and talented photographer but also I developed a relationship with such a special person I now love calling a dear friend! 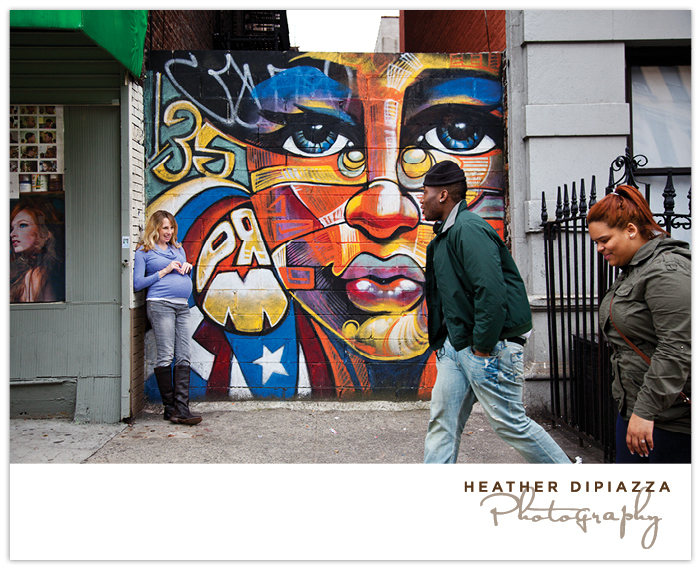 Heather thank you for taking the time out of your crazy schedule to come to Harlem and document this special time in our lives! 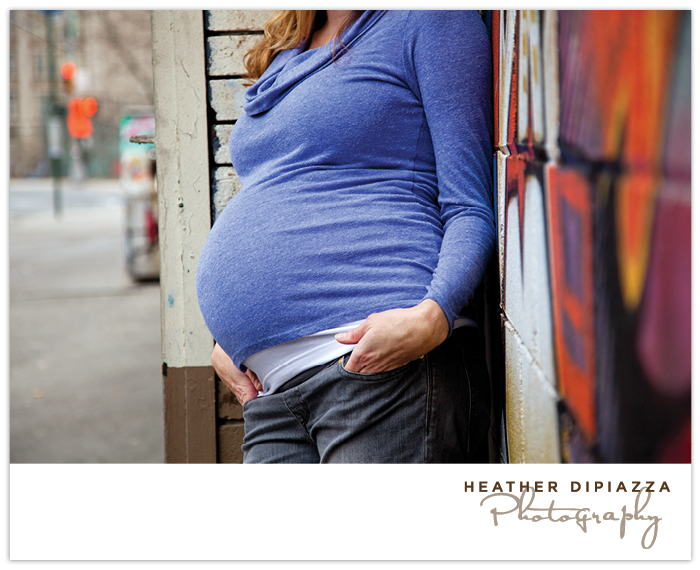 The pictures will be cherished FOREVER!! !